The Rainebeau lunch box is the perfect transportable container for your lunch and snacks. Carry your food fresh to school, work, picnics, sports days, planes or travelling on the road. Our children’s health and wellness is the motivation behind our products. Our Insulated Lunch Bag is back! We are bringing the old school lunch paper bag back! Only, this time it’s reusable, fully insulated and will fit your Rainebeau lunch box (or any lunch) plus extra snacks! Made of Tyvek, with an insulated EPE lining, and available in 3 colours; natural tan, black & metallic silver. From your vegie patch to your lunch box, chop it up, pack it in... and off you go with your fresh food joy. Let children touch, feel and smell their food. Helping you in the kitchen is the best encouragement for your little ones to enjoy fresh colourful food. Let children see food grow. Let them pick their food straight from the garden. 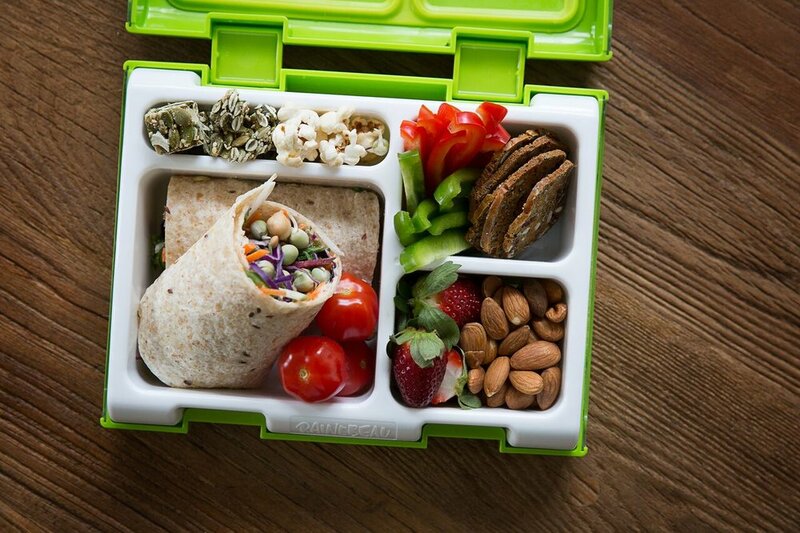 Keeping our Rainebeau family and friends inspired with nutritionally balanced and creative ideas for filling your Rainebeau Lunch Box... for school or on the road! We love experimenting in the kitchen, check in with us & see what new creations we have come up with on our fresh food journey. We're now selling Lunch Lady Magazine!